I had such a wonderful time photographing the cover and inside story for Las Vegas Food and Beverage Professional for the may issue. Not only do i get to spend time with Juanita the Creative Director and an inspiring woman whom i used to work with, but let's be honest.... i got to take home a 6.6 lb tub of nutella. for those of you who like nutella too.. come over, i'll share! I LOVE shooting for Juanita, and i might have loved it even more with Nutella involved ;) so thank you for letting me shoot and be with you all! 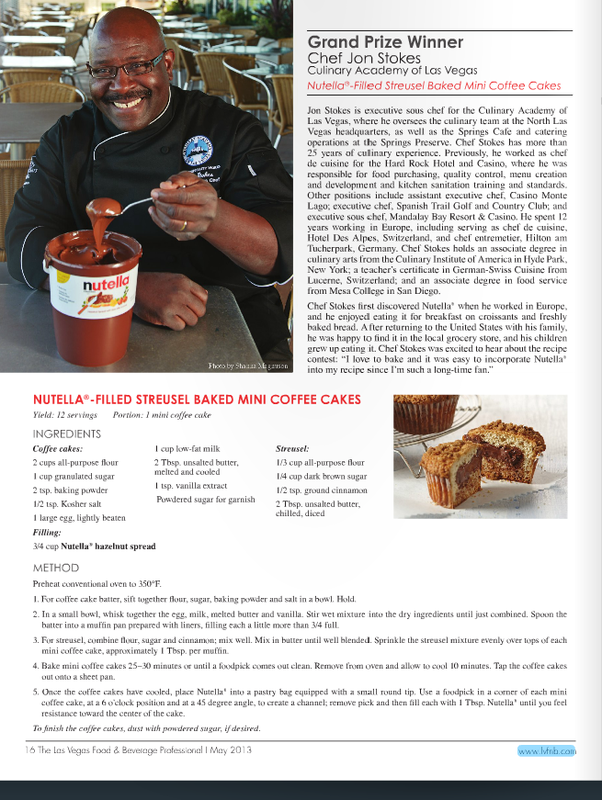 Meet the winner of the recipe contest "Wake up to Nutella" Chef Jon Stokes. To read more in this issue, click on the images. They even share more recipes with Nutella... you know where to find me.